Have you ever experienced unhealthy plants? A poor harvest … or worse, no harvest at all? This may be due to a lack of preparation. Before planting, is the ideal time to prepare and reinvigorate your soil to avoid disappointment. Creating healthy soil is one of the key factors to focus on before you begin planting. It’s unlikely plants will grow well in ‘dead dirt’! 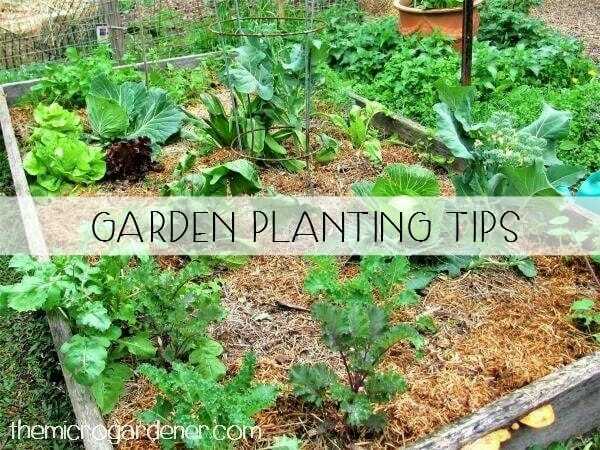 So let’s take a look at some tips and simple ways to prepare your garden for planting and using your space wisely. Welcome to the March Newsletter. I’m sorry it’s a little late due to my work commitments, but I’ve put together some helpful tips to get you growing and inspired. This month, I’m sharing another quick ‘How To’ video in my Sow Simple series of free tutorials to help you grow an abundant, healthy garden in just minutes. Dig in! 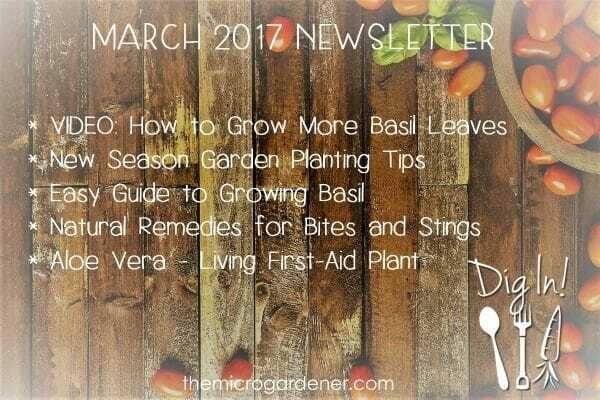 In this quick 2 minute video clip, I share tips on how to grow more leaves on your basil plants. I show you an easy technique to stimulate new growth so you get an abundant harvest of this delicious herb. 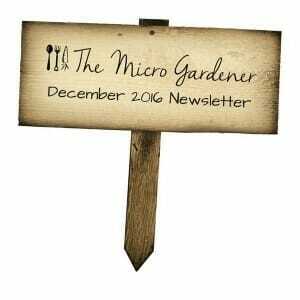 Hi and welcome to the December 2016 Newsletter – the last issue for this year! I want to take this opportunity to thank you for your support and for all the emails, photos and positive feedback I’ve received this year. I’ve loved speaking at so many events, garden clubs and shows; designing my client’s gardens and sharing the joys of helping so many people grow their own food. I’m so lucky my work is also my passion. It’s also been a big year launching this new website. There’s so much more in store in 2017 as I roll out my new courses and some cool new website features I know you’ll love. New Online Courses Coming in 2017! Is there a Safe Wood Preservative for Food Gardens? I’d like to share a secret I use in my garden to get great results. Strong, healthy happy plants. This ‘secret weapon’ saves me a LOT of time and money. It’s moon gardening or planting by the moon! 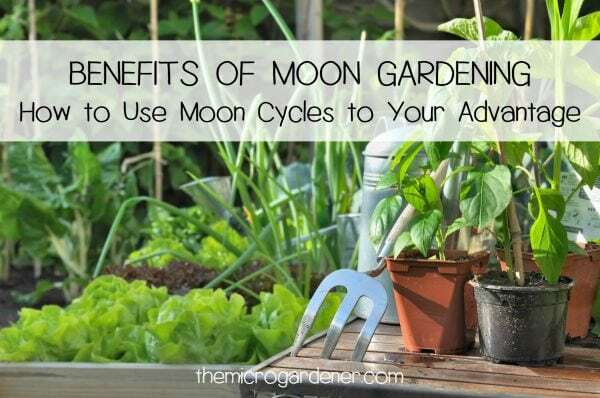 OK, ‘moon gardening’ may sound a little strange if you’ve never heard of it before! Stay with me and I’ll reveal the secret in more detail and how YOU can use this to your advantage. You are probably already familiar with your climate zone and are planting in the right season for your location. One easy way for you to maximise your gardening success is by working with nature’s lunar cycles. By that, I don’t mean getting outdoors with a shovel in the middle of the night! Moon planting has been practiced by farmers and gardeners who were in tune with nature’s patterns. In our busy modern world, many gardeners have lost sight of this age old science-based technique. These are a few tips from my personal experiences to help you get the most out of plants you grow and cost you less. Be Prepared: Prepare your garden bed or pot before choosing the seeds, seedlings or plants that suit your climate zone. Check the amount of space you have available before planting. Some plants need more ‘personal space’ than others so avoid buying more than you need or have the space to grow. There’s nothing worse than coming home with an armful of seedling punnets and watching them become ‘dried arrangements’ by the front door because you weren’t ready to plant them! I’ve learned my lesson by composting too many ‘mistakes’! 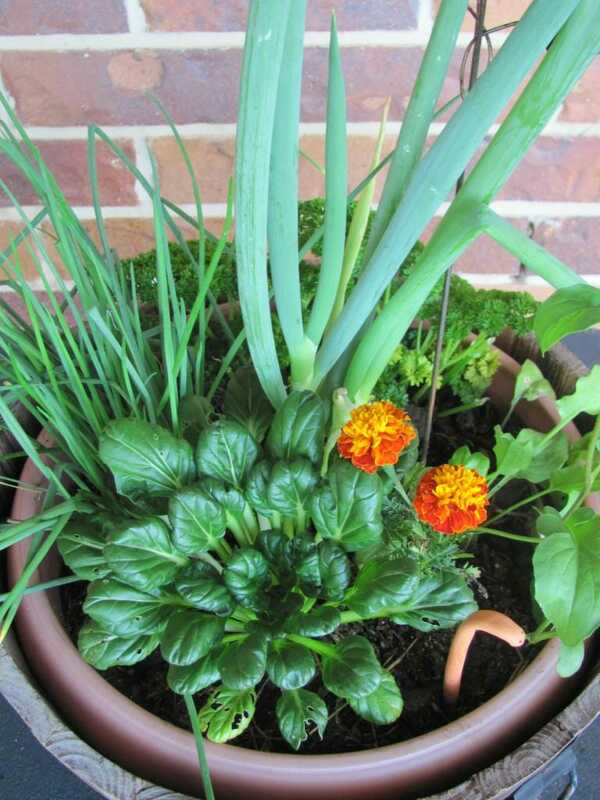 Consider the space you have to work with: I chose shallow rooted edibles like tatsoi, parsley, baby spinach, marigolds and skinny chives and spring onions which could all share this pot comfortably!